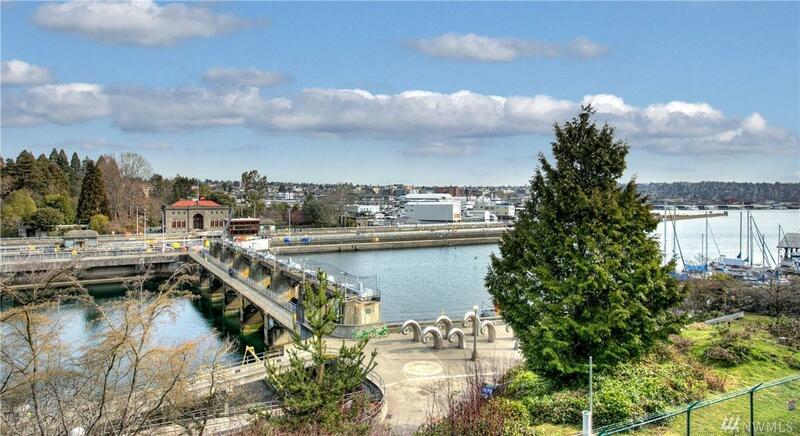 Lovely condo with stunning panoramic views of the Ballard Locks and ship canal from both inside and balcony. Rare resale in the popular Lockshore! 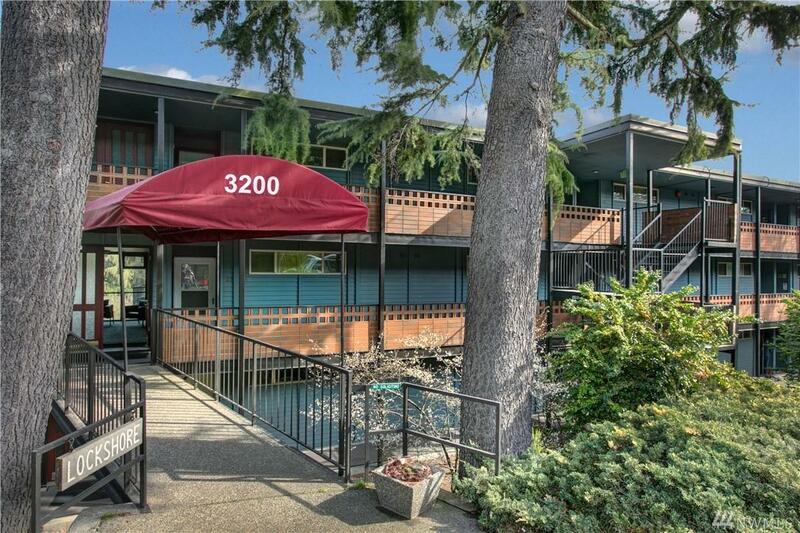 Privacy abounds, adjacent to Commodore Park! 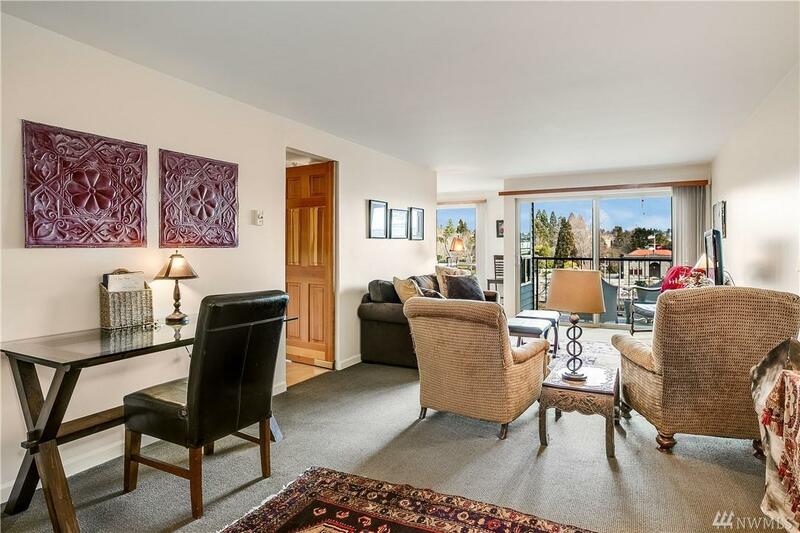 Large living room and formal dining room with views, French doors to bedroom. Convenient level access and secure parking. Building has new elevator plus laundry room, outdoor pool, bike room and unit has separate storage locker. Pet friendly. 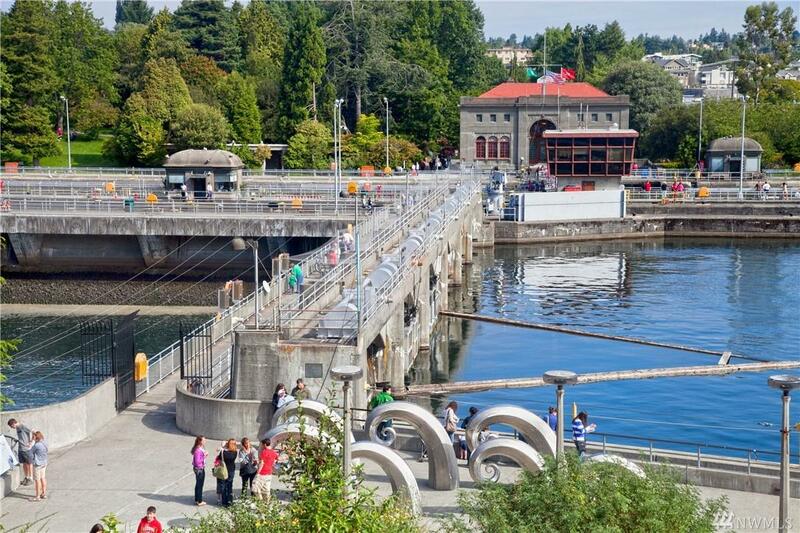 Walk to Discovery Park, Ballard commuter's dream!